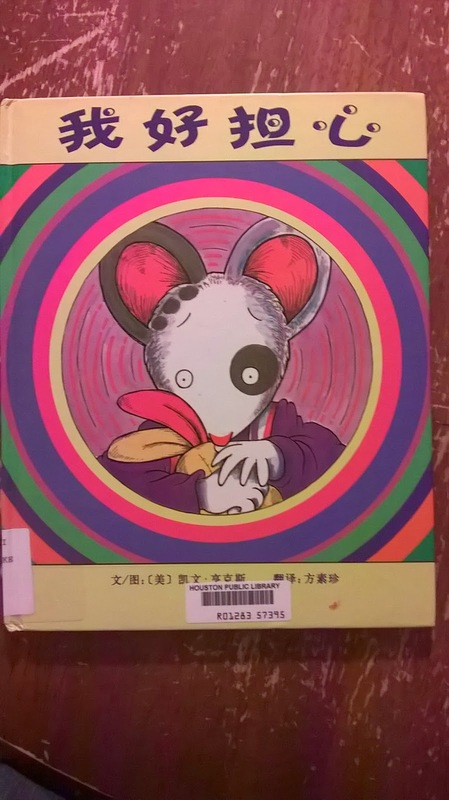 We checked out a great book from the library this week called 我好担心 (Wemberly Worried). 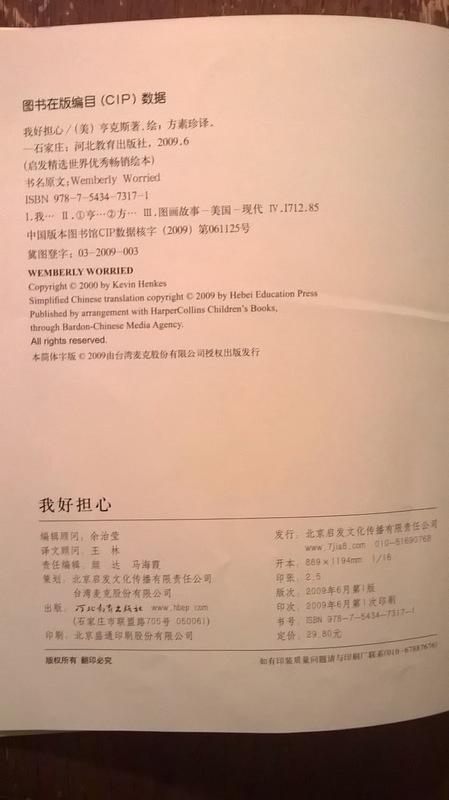 I wish we had lots of Chinese books like this. I've seen my 4 year old looking at it all by himself several times, which tells me that it catches his interest. It's a classic English book, and I'll refer you to Amazon.com to read the 5 star reviews. 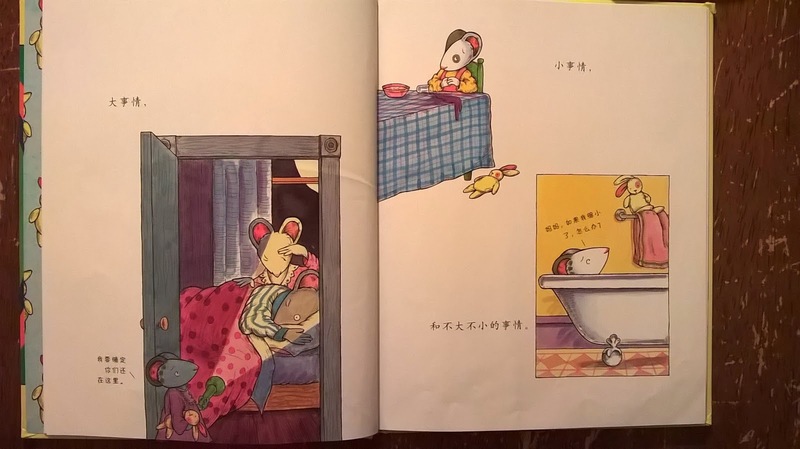 It's about a mouse that worries a lot. 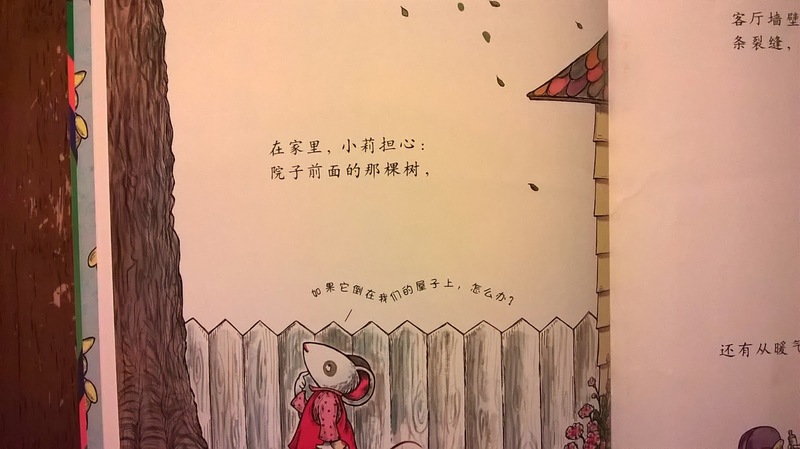 She worries that snakes will come out of her radiator, that a tree will fall on her house, that things are going to come out of the cracks in the walls. Reading it with our kids it all seemed so relevant to them. They thought it was fun and silly but also novel and interesting. I pointed to a crack on our roof and I could tell the wheels in their heads were spinning. Anyways, the book is a bit long, and I'd say you should plan on your kids being at least 4 years old to read it. I think it has a lot of re-read value and is one your kids will be interested in reading many times over and over again. It seems kinda sketchy... but Amazon always guarantees everything so I'm sure they would give you a refund if it didn't come or was messed up.